Last week, Tavarish explained how inexpensive sports cars may sound like a good idea at the time, only to realize later you probably should have bought something that won’t drain your wallet and your sanity. 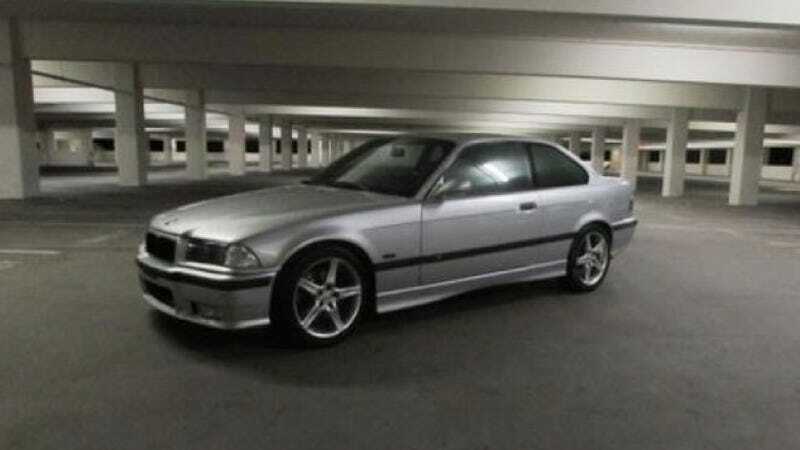 An owner of an E36 M3 wants to trade it for what may be the most disdained car in the Jalopnik comments. A Prius. Sad to be selling this car, it is in wonderful shape, as it was previously owned for the majority of its life by the owner of a racing team who took great care of it. You will not find an e36 m3 like this! Background on the car before I owned it: Prior to me owning the car, the paint was redone, the front seats were reupholstered, the entire cooling system was replaced, cross drilled/ slotted rotors were installed, and Eibach adjustable swaybars were installed. The owner of the race team used it to pick up investors from the airport, and was later sold to his mechanic, before it went to another owner who had it about 2000 miles before selling it to me. While the mechanic owned it, it was stolen, and later returned. As a result of this it is a salvage title. There have been no accidents to this car. Completely new front suspension w/polyurethane front control bushings. New rear shocks with reinforcing plates. New engine & transmission mounts. New MAF. New crankshaft position sensors. New polyurethane rear trailing arm bushing with reinforcing bracket. New brake pedal sensor. New brake pedal bushings. New clutch pedal bushings. New Mason engineering short throw clutch pedal. New leather shift boot, seal, and weighted shift knob...Pioneer head unit with USB, IPOD. New interior cabin filter. New projector headlights with 35w HID fog lights. I am selling/trading this car because I am trying to get a Prius. If you own a Prius and are interested in trading, let me know. Hey, the Prius isn’t so bad. Car Matchmaker and friend of Jalopnik, Spike Fersten has one; granted he has a bunch of awesome vintage Porsches as well. But can you blame this BMW owner for wanting something that will give him a trouble free commute?